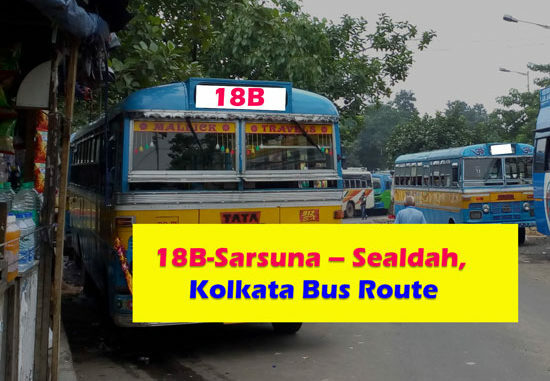 Here are the details of Kolkata Bus Route no 18B-Sarsuna – Sealdah; This Bus Route Originates its journey from Sarsuna in Behala,which is in South west of Kolkata. 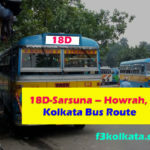 some prominent localities in Kolkata like Rai Bahadur Road., New Alipur Govinda Auddy Road, (Rasoi Co.), Chetla Central Road, Burdwan Road, A.J.C. Bose Road etc. 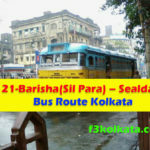 falls on the way to Sealdah Station, where this bus route terminates it’s journey. 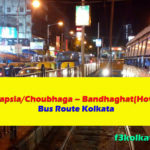 Sealdah station is one of the busiest station in Kolkata. 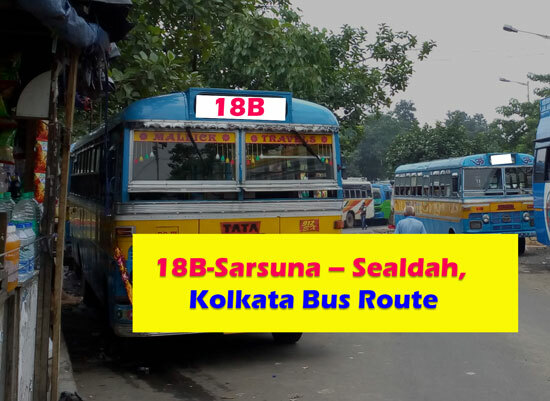 If you want to travel from Behala to Sealdah Station then you can board any of the buses plying in this route 18B-Sarsuna – Sealdah.